Japanese auteur Hayao Miyazaki was supposed to be retired, but he just couldn’t stay away from animation. 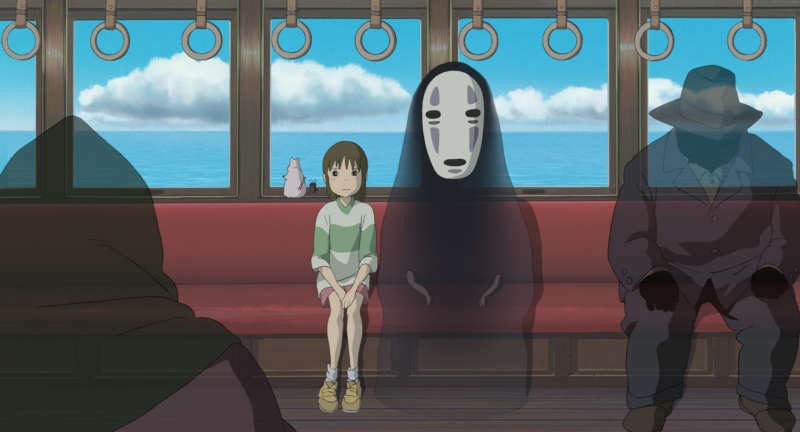 In 2001, Studio Ghibli released his masterpiece, a sweeping epic entitled Spirited Away, telling the story of a lost young girl trapped in a spirit realm. What managed to lure Miyazaki out of retirement to make the film? A sullen pre-teen. His inspiration for the film was a trip to a mountain cabin with a family friend who brought his daughter with him. Miyazaki noted that the 10-year-old girl was sullen and withdrawn, and he began to think about how there was very little entertainment for her. Movies and magazines tended to focus on boys to crush on, and so he wanted to make a film with a heroine who was a little older than the little girls in his previous work. The characters in the movie Spirited Away are certainly imbued with meaning. Their names are all hints at their true nature: there’s Yubaba, which means “hot water witch,” and Zeniba, or “money witch.” Chihiro, the heroine, means “a thousand searches,” and her alternate name of “Sen” means just “a thousand.” She spends the movie on a search for a return to the normal human world, and so the name is particularly appropriate. Most of the film is set in a spiritual bathhouse, a concept that might be a bit unfamiliar to American audiences. And so the English dub has a few details added: “Oh, a bathhouse,” Chihiro comments as she approaches, signaling that it is not, as Americans might think, a brothel. There’s a blink-and-you’ll-miss-it nod to Ghibli’s partner, Pixar, when Chihiro first arrives. She’s greeted by a bouncing lantern, an analogue to the bouncing lamp at the start of every Pixar film. But many more of the references in the film are to real-life elements; for example, the location is based on Downtown Jiufen in Taiwan, and also the Edo-Tokyo Open-Air Architectural Museum. The scene in which a stink spirit pollutes the bathhouse is based on the time Miyazaki pulled a bicycle out of the river near his house. He recalled wrapping a rope around the handlebars and gradually pulling it free, along with other garbage. Eventually fish returned to the habitat just like the patrons in the cleaned pool in his film. The character of No-Face also has a real-life counterpart: Silkworms. Like the worms, No-Face has face-like markings that are a mere decoy; its true mouth is located under what looks like its face. At the end of the movie, the character can be seen spinning silk. But perhaps the most arresting reference to real-life events lies in Miyazaki’s decision not to attend the Oscars when Spirited Away was nominated. Although he didn’t explain his reasoning for years afterwards, eventually he revealed that he chose not to come to America because of the war being conducted in Iraq at the time. For a man whose movies are often regarded as an escape, it was a none-too-subtle reminder that the darkness of real life is intertwined with his work. 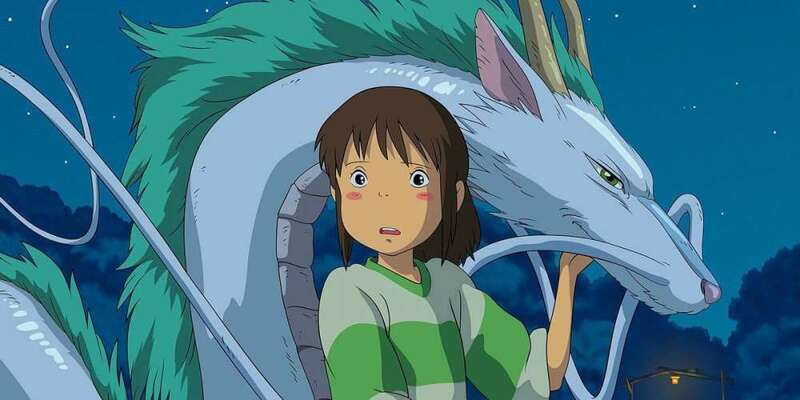 For what it’s worth, since Spirited Away Miyazaki has had a continual cycle of retiring, only to continue making his “last film.” Such “last films” have included Howl’s Moving Castle, Ponyo, The Wind Rises and Miyazaki’s latest film, Boro the Caterpillar. Miyazaki is currently in the planning stages for his next final film, How Do You Live? due out in 2020. 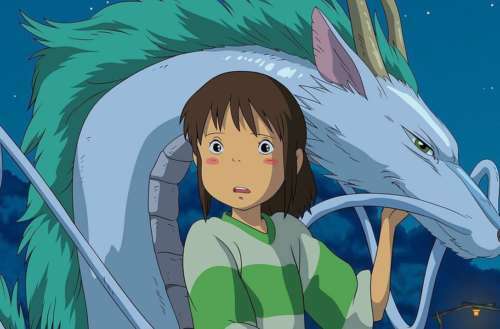 Is Spirited Away your favorite Miyazaki film? Let us know in the comments!